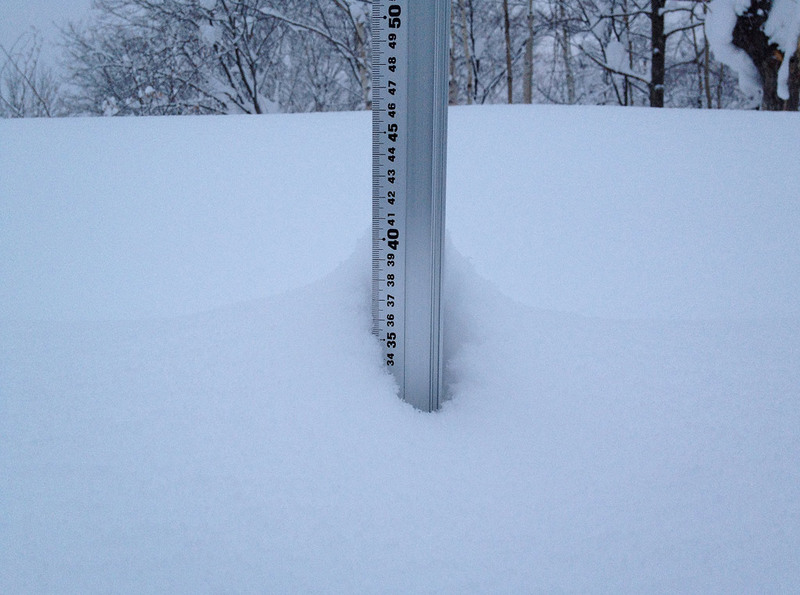 *11.5cm of fresh snow as fallen in the last 24hrs in Hirafu Village. At 7:15 today the temperature was -3°c. Winter has returned this morning with heavy snow fall and cold temperatures. Visibility will again be limited on the mountain however skiing and boarding will no doubt be excellent.